As I continue to read the Scriptures, of all the people written about, there are some that I find more fascinating than others. One of those is Elijah. He is certainly one of the more mysterious figures of the Old Testament. Regardless of his reputation and great works, what does the story of Elijah have to do with us today? 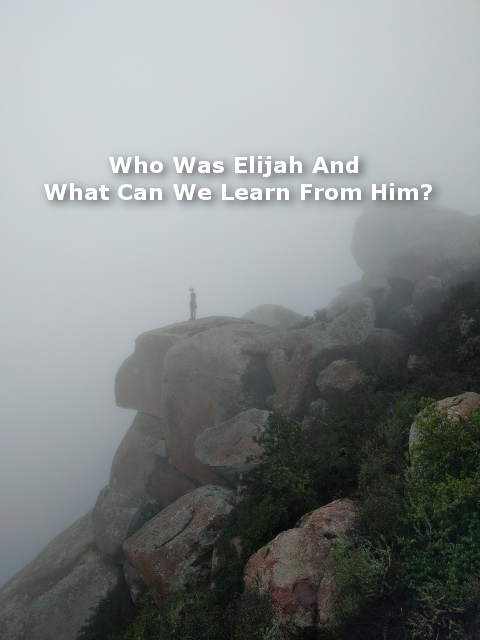 Could anything about Elijah’s life be relevant to our personal lives today? 1 Kings 17: 1 Now Elijah, who was from Tishbe in Gilead, told King Ahab, “As surely as the Lord, the God of Israel, lives—the God I serve—there will be no dew or rain during the next few years until I give the word!” 2 Then the Lord said to Elijah, 3 “Go to the east and hide by Kerith Brook, near where it enters the Jordan River. 4 Drink from the brook and eat what the ravens bring you, for I have commanded them to bring you food.” 5 So Elijah did as the Lord told him and camped beside Kerith Brook, east of the Jordan. 6The ravens brought him bread and meat each morning and evening, and he drank from the brook. 7 But after a while the brook dried up, for there was no rainfall anywhere in the land. In the opening verse, it becomes very clear who Elijah is, which is an ambassador and servant for God. It also doesn’t take long to see how bold he is, this is the king of Israel he’s talking to. Up until this time King Ahab is the evilest king to come along and worse yet he’s married to Jezebel, an evil princess from neighboring Sidon (1 Kings 16: 31). Then, after telling the king that there’ll be a drought in his land for the next few years, God sends him to hang out by a brook for an unspecified period of time. Imagine not only being sent to a brook to hang out for a period of time but being fed by ravens twice a day? There are many ways that God can provide for us, and this is just one great illustration. After a while, the brook dries up, because of the very drought that he called upon the land. One thing to learn is the fact that although the brook dried up it did not mean that God was not going to provide any longer, it simply meant that he needed to be reassigned. I seem to “read into” my circumstances too often which can lead to a bad conclusion and one that doesn’t honor God. For example, let’s say that you or someone you know lost their job. Is that a bad thing? For “natural thinkers” of course, it’s a bad thing, remember last week, about being spiritually minded? For the spiritually minded, losing a job simply means that God has other plans and you’re being reassigned. Lesson: We don’t always know what’s going on and we’re not supposed to, but you can be certain that when you place your life in the hands of the Creator, He’ll provide for you. 15 So she did as Elijah said, and she and Elijah and her son continued to eat for many days.16 There was always enough flour and olive oil left in the containers, just as the Lord had promised through Elijah. Do you think any of your time or talents are being wasted? Lesson: No matter how much we grow spiritually or learn in our studies, there is no job “too small”. Our immediate and most important ministry will always be to those that are closest to us. Love those that God has put in your life the most and you are an obedient servant. These verses take place when Elijah was running from King Ahab’s wife Jezebel, who had threatened his life after the contest on Mount Carmel. He apparently thought that he was the “only one left” that serves God. In verse 18 we read otherwise. God made sure he knew that he was not alone. I think this is a great reminder for us today when we feel all alone in our zeal for God. This is a great reason for us all to regularly enjoy fellowship with other believers, which seemed to be lacking in Elijah’s life at the time. Lesson: Regardless of how bleak things seem to be, we are not alone. 1 Kings 19: 15 Then the Lord told him, “Go back the same way you came, and travel to the wilderness of Damascus. When you arrive there, anoint Hazael to be king of Aram. 16 Then anoint Jehu son of Nimshi to be king of Israel, and anoint Elisha son of Shaphat from the town of Abel-meholah to replace you as my prophet. After meeting with God in the cave on Mount Sinai (Horeb), he was given these instructions: 1. Anoint Hazael to be king of Aram. 2. Anoint Jehu son of Nimshi to be king of Israel. 3. Anoint Elisha to replace himself as God’s prophet. Can you think of more important things to be told to do? I mean, really? Anoint a couple of kings? That’s amazing, isn’t it? We know that he anoints Elisha, that happens in verse 19, but what about the other two tasks? Notice that the other two tasks were delegated to Elisha. Why would God tell Elijah to do something when He knew that it would be Elisha that would actually do it? I don’t know. It could’ve been simply the chain of command. At the time Elijah was the master and Elisha was the disciple so the commands would’ve come to Elijah first and he passed them on to Elisha. It is interesting, to say the least. Lesson: Just because God has given you work to do doesn’t mean that you’ll see it accomplished in your lifetime. For those of you that have read the story of Elijah, you know that these are just a few highlights. I’ve barely scratched the surface. Between Elijah and Elisha, there are some incredible events that take place and I encourage you to read about them. These were two great servants of God and models of dedication. James 5: 16 Confess your sins to each other and pray for each other so that you may be healed. The earnest prayer of a righteous person has great power and produces wonderful results. 17 Elijah was as human as we are, and yet when he prayed earnestly that no rain would fall, none fell for three and a half years! 18 Then, when he prayed again, the sky sent down rain and the earth began to yield its crops. As great as Elijah was, James reminds us that he is as human as we are. Lesson: Elijah was simply an ordinary man who took his service to God seriously and God did many great things through Him because of it. God can do many great things through you if you’ll only commit yourself to Him. These last few weeks we discussed the small or simple things that promote spiritual growth. For review, these activities (disciplines) include reading the Word, private prayer, and Spirit-led fellowship. These are the essentials. These disciplines are foundational and without them, we’ll have no firm ground to stand on. Remaining in Him is making certain that we’ll continue to grow and be ready for whatever challenges He leads us to next. We are never to stop growing as He is inexhaustible. At the very least, we are to pursue these three activities. They lead us to become one Body of Christ and one with Him, which is what He’s always intended. John 17: 20 “I am praying not only for these disciples but also for all who will ever believe in me through their message. 21 I pray that they will all be one, just as you and I are one—as you are in me, Father, and I am in you. And may they be in us so that the world will believe you sent me. As we also discussed, these three disciplines are in direct pursuit of being obedient to His two greatest commandments. This act of worship and devotion will sow many seeds into Him and He’ll be certain to reward us richly when we’ve shown that we can be faithful and trustworthy with the “small things”. 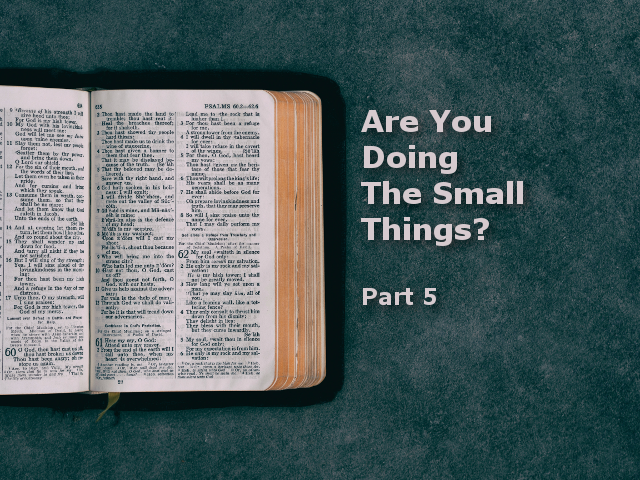 At the very least, the “small things” are the work He’s given us to do. It is in these small, simple tasks that we learn what He likes, dislikes, and how He operates. Think of it as an orientation for a job. Only it is an orientation that never stops. Can we ever master the Scriptures? Will we ever really know God? Will we ever be self-sustaining, not needful of others? These are the small things in each of our lives that we can control. These duties will always be required of us in order to keep growing. John 15: 5 “Yes, I am the vine; you are the branches. Those who remain in me, and I in them, will produce much fruit. For apart from me you can do nothing. 6 Anyone who does not remain in me is thrown away like a useless branch and withers. Such branches are gathered into a pile to be burned. 7 But if you remain in me and my words remain in you, you may ask for anything you want, and it will be granted! 8 When you produce much fruit, you are my true disciples. This brings great glory to my Father. This is practicing the very presence of the Living God and yields eternal blessings beyond our belief. It is true discipleship and is far more important than what any seminary will teach. You do not need a seminary to teach you how to draw near to God. Philippians 3: 8 Yes, everything else is worthless when compared with the infinite value of knowing Christ Jesus my Lord. For his sake I have discarded everything else, counting it all as garbage, so that I could gain Christ 9 and become one with him. When we seriously pursue Him, we find that He is an incredibly personal God and He takes the greatest interests in the minor details of our everyday lives. What He wants most is our undivided attention and He teaches us lessons that He exclusively designs for us. Always remember that He is the Teacher and seek Him for direction that only He can give. Ephesians 3: 16 I pray that from his glorious, unlimited resources he will empower you with inner strength through his Spirit. 17 Then Christ will make his home in your hearts as you trust in him. Your roots will grow down into God’s love and keep you strong. 18 And may you have the power to understand, as all God’s people should, how wide, how long, how high, and how deep his love is. 19 May you experience the love of Christ, though it is too great to understand fully. Then you will be made complete with all the fullness of life and power that comes from God. 1 Corinthians 1: 26 Remember, dear brothers and sisters, that few of you were wise in the world’s eyes or powerful or wealthy when God called you. 27 Instead, God chose things the world considers foolish in order to shame those who think they are wise. And he chose things that are powerless to shame those who are powerful. 28 God chose things despised by the world, things counted as nothing at all, and used them to bring to nothing what the world considers important. 29 As a result, no one can ever boast in the presence of God. Most plants require 3 essentials for growth. For those of you that are not green thumbs, let’s review: They are water, sun, and good or fertilized soil. Most plants require all three. For the past two weeks, we discussed two elements that are essential for our spiritual growth. They are reading God’s Word and prayer. But they are not enough for us to thrive. The third essential element (and small thing) is Christian relationships (fellowship). John 15: 12 This is my commandment: Love each other in the same way I have loved you. 13 There is no greater love than to lay down one’s life for one’s friends. 14 You are my friends if you do what I command. 15 I no longer call you slaves, because a master doesn’t confide in his slaves. Now you are my friends, since I have told you everything the Father told me.16 You didn’t choose me. I chose you. I appointed you to go and produce lasting fruit, so that the Father will give you whatever you ask for, using my name. 17 This is my command: Love each other. Can someone look at your life and know that you are His because of your love for your friends? These relationships are special and just like any other special relationship they take time to build. This is where believers become “Christ in the flesh” for each other. To me this is “fertile soil” that enables a believer to grow. Matthew 13: 8 Still other seeds fell on fertile soil, and they produced a crop that was thirty, sixty, and even a hundred times as much as had been planted! We can just call them “fellowship meetings”. These meetings of brothers and sisters should be a safe place where you are listened to without judgment. It should be a place where those issues that weigh heavy on your heart can be discussed openly without fear of laughter or shame. They should be regularly occurring, consistent events that become typical of our lifestyle as believers. This is the only way for this love to grow, as we practice getting to know and love one another. The fuel that keeps these meetings “alive” will be the reading of Scripture, discussion, praise and prayer. This can be between 2 or more people. I know this might sound like “just another church service”, but this is much more intimate with fewer people. It is OK to have several meetings a week other than the “regular church” service and I think it is vital. Other than corporate worship, there should be a small group of the same gender as well as for couples if one is in a relationship. A small group should be not much more than 6. The bigger a group gets the less likely certain people will share and the more frequently they’ll need to meet for the group to “gel” (grow closer together). The leadership of the group should ensure that the focus of the group stays on the Lord and that the conversation stays positive and encouraging making sure that what is being said is applicable to the whole group. This is not always easy to do and certain people might need to be reined in accordingly. All meetings should start in prayer which sets the tone, always asking for the Holy Spirit to guide the conversation, inviting Him to be present. I am convinced that this should be the normal lifestyle for the Christian individual. For some I know this could be a radical change, but it is this radical change that I needed to get my life in line with His and keep it there. It did not happen overnight, but over time I started to integrate meetings into my schedule until I had enough and was not overburdened. These meetings can also take place over the phone. I don’t think its ideal, but it works. Just like any relationship or plant, you will reap what you sow. These meetings are an investment well worth your time. It is in these meetings where relationships blossom which make our lives incredibly rich. The more time invested, the greater the value becomes. Ask Him to bring people into your life or help you to meet with others and you can be certain that He will answer a prayer like that. He wants His children to get together and anytime I pray for a great meeting with others He answers it. Acts 2: 42 All the believers devoted themselves to the apostles’ teaching, and to fellowship, and to sharing in meals (including the Lord’s Supper), and to prayer. 46 They worshiped together at the Temple each day, met in homes for the Lord’s Supper, and shared their meals with great joy and generosity—47 all the while praising God and enjoying the goodwill of all the people. And each day the Lord added to their fellowship those who were being saved. These are the small, yet essential things. These three regular activities of reading His Word, praying and God-centered meetings are simple, yet essential for spiritual growth. When all three are combined it is most powerful and dynamic. Participation from each individual is key. It is important to make sure each person is engaged and a part of it. The leadership or simply those most mature of the group should naturally pray for all members on a regular basis as well. The evil one does not want these meetings to occur and he will do all that he can to disrupt. Once meetings are established, it should be considered as if God engineered it and it becomes the work He’s given us to do. This is not work in any negative sense, but work that yields much joy and is something to look forward to because we know that it pleases Him and greatly blesses us. Keep in mind that the great purpose of these meetings is all about putting into practice the two greatest commandments: To love God with everything we’ve got and to love our neighbors as our selves. These meetings prepare us for ministering to those in greater need and those that do not know God. Hebrews 10: 24 Let us think of ways to motivate one another to acts of love and good works. 25 And let us not neglect our meeting together, as some people do, but encourage one another, especially now that the day of his return is drawing near. Are you ready for true growth? Dear Lord, thank you for the precious relationships that you have blessed me with. Thank you for my family and for those people in my life that make my life rich and blessed. Help me to invest my time where it matters most, which is relationships. I pray that these relationships make you the focal point and lead to greater service for you. In Jesus’ name, amen. Does this describe you? How do you handle “bad news”? When you realize the last check you wrote will bounce. Or maybe when you’re called into your boss’s office after a day when you know you made a poor decision? How about when you’ve had an ugly dispute with your spouse who brought up the “D” word and they were serious? Or when you receive an intimidating letter from the IRS? Does the passage in Psalm 112 resemble you? If it does, and bad news doesn’t phase you, then you have found the peace that truly passes all human understanding. If this does not resemble you, and you cannot relate to it, then let’s discuss an additional “small thing” that is essential in bridging this gap from who you are now to this “gold standard” of a believer given in Psalm 112. This peace is not something one can get from reading self-help books. It cannot be found in a yoga class or a zen garden. While some methods, such as these, may provide temporary relief, they do not compare to the peace that only our Heavenly Father can provide. How is this fruit produced? Isn’t this a fantastic verse? We’re actually told how spiritual fruit is produced. But wait, what does it really mean to “remain in Christ”? How do we “remain in Christ”? I think I know, and I am convinced that it is in these “small things”, exercised day after day, week in and week out, after many months and in some areas only after years can significant growth be seen. Consider the oak tree, which begins as a humble acorn. It takes many years to grow to its full height and you wouldn’t want to sit around watching it grow. It would be like watching paint dry. But it grows, little by little and over time it becomes gigantic. It was designed that way and so are we. In this microwave, drive-thru, cell phone and ATM culture we seem to want to go to church, pay for a fully grown “tree of spiritual growth” and bring it home. That “tree of spiritual growth” starts at home, daily. Do you see the connection to John 15? 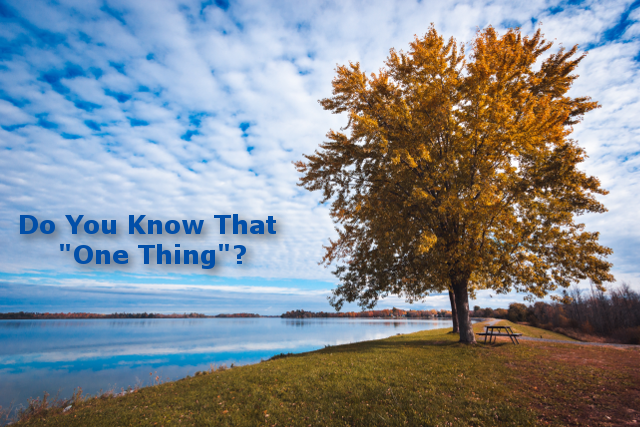 Last week the “simple thing” was reading the Word of God. Today it is prayer. Prayer and Reading the Word go hand in hand. They feed off each other. Reading His Word drove me to a greater, richer prayer life. God gave me a voracious appetite for reading the Word as a result of my sincere and diligent prayers. Prayer prepares my heart to receive His Word. The knowledge of Him, what He likes and dislikes have helped sharpen and enrich my prayers. Picture two vines growing together, intertwined as they continue to grow. This is how I see these two disciplines in my life. They are both maturing. I get more out of my Bible reading now than I did last year and my prayer life is more pervasive throughout my daily activities. There are many different ways to pray and variations of it so I’d like to refer to a passage so that we are on the same page. Matthew 6: 5 “ But when you pray, go away by yourself, shut the door behind you, and pray to your Father in private. Then your Father, who sees everything, will reward you.When you pray, don’t be like the hypocrites who love to pray publicly on street corners and in the synagogues where everyone can see them. I tell you the truth, that is all the reward they will ever get. Don’t be like them, for your Father knows exactly what you need even before you ask him “When you pray, don’t babble on and on as people of other religions do. They think their prayers are answered merely by repeating their words again and again. This is the type of prayer that matters most. Taking the time to be in His presence, seeking Him in prayer alone, can never be underestimated. But I know for myself it is what I lack the most. Luke 10: 38 But Martha was distracted by the big dinner she was preparing. She came to Jesus and said, “Lord, doesn’t it seem unfair to you that my sister just sits here while I do all the work? Tell her to come and help me.” Her sister, Mary, sat at the Lord’s feet, listening to what he taught. As Jesus and the disciples continued on their way to Jerusalem, they came to a certain village where a woman named Martha welcomed him into her home. 41 But the Lord said to her, There is only one thing worth being concerned about. Mary has discovered it, and it will not be taken away from her.”“My dear Martha, you are worried and upset over all these details! Reading the Word and meeting him alone in prayer is sitting at the Lord’s feet. What does Jesus say? This makes it clear to me, from my understanding Jesus’ statement, that if there is ANYTHING that I do that is worth being concerned about from day to day is “Did I spend time at my Lord’s feet today?”. How do you read it? When I meet with Him I usually like to get on my knees, in a prostrate position. I don’t know why, but I think this helps me meet Him with humility. This is my conviction, not to put it on anyone else, but this is what works for me. You could sit, lie face down, kneel at your bed, whatever you feel most comfortable for you. Not comfort in a physical sense, but comfort in a spiritual sense. Some days I am too tired and just lie on the bed and pray. This is not something to be dogmatic or legalistic about. God simply wants you to meet with Him and meeting with Him on a regular, consistent basis is essential for spiritual growth. I don’t necessarily know what I want to say to Him or ask of Him. There are times that I don’t have anything to say, but I feel a great desire to meet with Him anyway. I close my eyes, am still and take deep breaths. Slowing down and being still like this helps me to think and maybe prepare my words for Him. I usually start with “I praise your name”, or it’s never a bad idea to just start thanking Him and let the list go on for everything you have to be thankful for. Once you start a dialog with Him pray whatever comes to mind and let it go. If you are anxious, tell Him. If you are scared, let Him know. If you don’t know how to solve a problem, ask for His help. 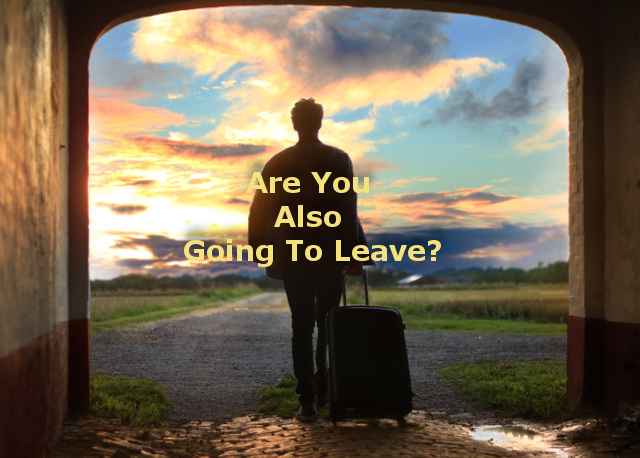 Don’t be in a hurry to leave. Pretend that you are a six-year-old that had a bad day with the other kids on the playground. As a young child, you run to your Father with all your needs, anxieties, questions, and strange feelings that you cannot express. Unload on Him as any child would and make it a habit. After a while, after you begin doing this, the idea to pray will change from “I have to pray” to “I really desire to pray.” You will find that you will desire it more and more, rather than as an obligation. Then if you stop doing it for any reason, maybe when taking a vacation, you will miss it dearly and He will teach you just how important it really is to maintain your peace of mind. Remember that Jesus is humble, gentle and very patient. He is not like some harsh taskmaster that likes scolding us. He has been good to me and I’m certain you’ll see that for yourself. For those of you that are incessantly worrying about something right now, I want to give you an exercise that has helped me tremendously. God promises that if you meditate on this verse, storing it in memory, you will take on a new way of living. A way that is peaceful. This is what letting go is all about. Fall into the arms of a great and loving God, the One who created you uniquely for His good purposes. Will you join me at His feet? Do you know in your heart what the “abundant life” is? Is your life as a Christian what you’ve always expected it to be? Be honest with yourself. Are you content with your knowledge of God and the transformation that was once started in you? Do you think you’ve hit a plateau or are you progressing in your faith? Are you satisfied with your relationship with Him or do you want more? But I don’t think that means that we should not want more. I don’t know about you but the closer I get to God, the more deficiencies and inadequacies I see in myself. This is something that I am not pleased with; therefore, I continue to pursue Him because I know that He’ll continue to work on me. The motive here is not just about being more Christ-like, but being more Christ-like so that I can be of greater use to Him. This is the slow and painful death of me. If God is the CEO of a company called God, Inc. then I am a “sold out” company man, reading the Employee Manual diligently and constantly discovering what the CEO likes and dislikes and being willing to change accordingly so that my life will please Him and the Boss’s Son. Have you ever thought about what it really means to carry out these commandments? Forget about the 10 commandments, Jesus says these are the greatest and that all of the law is based on these two commandments. We are commanded to love Him, and everyone else. Before you start thinking “Really?… commanded to love? What kind of god does that?” Think about this: He’s never commanded us to believe in Him. He’ll never force you to follow Him. He doesn’t make anyone believe that He exists (He gave Nebuchadnezzar seven years to come to his own conclusion, read Daniel 4). Because He loves us, He’s given us free will. He is not some puppet master forcing us to trust in Him, otherwise, it would not be love. When we surrender our lives to Him, we make Him our Master. We are then His slaves because we have been bought for a price. 1 Corinthians 6: 19 Don’t you realize that your body is the temple of the Holy Spirit, who lives in you and was given to you by God? You do not belong to yourself, 20 for God bought you with a high price. So you must honor God with your body. AND YOUR LOVED ONE’s LIVES DEPENDED ON IT! God created you, right? You’ve made Him the Lord and Master (CEO) of your life, right? He commands you to love Him first and foremost, right? If you said yes to all three questions then what is stopping you from doing a simple daily task that will help you to love Him more? This is called obedience and it pleases Him. John 14: 15 “If you love me, obey my commandments. Before I started taking Him seriously I read His Word very little, very infrequently and with very little interest. I really didn’t know how to love Him. After taking Him seriously and reading the Word several times, I appreciate Him much more now that I know Him a whole lot better. The more I know him, the more I love Him, it is that simple. Now that I love Him and because I love Him, I read his Word in greater volume, every day, and with great interest. Do you see the shift that has occurred in my life? This has taken me from being shallow and lukewarm to a passionate man with a purpose. Look, friends. Reading your Bible daily is one of the “small things” you can do. And if you can’t be faithful with the small things, do you think He’ll ever give you greater responsibilities? (Let me clue you in for a second, completing seminary or starting some ministry is not necessarily God giving you responsibilities.) There are not many things that I can control in my life, but I can control what I read and how much I read, can you? But I must tell you that reading the Word is not enough on its own. Over the next few weeks, God willing, I’ll be discussing other essential elements involved in spiritual growth. In the meantime, I’ve included a reading plan that you can use to start developing the daily habit of reading the Word today. Romans 12: 1 And so, dear brothers and sisters, I plead with you to give your bodies to God because of all he has done for you. Let them be a living and holy sacrifice—the kind he will find acceptable. This is truly the way to worship him. 2 Don’t copy the behavior and customs of this world, but let God transform you into a new person by changing the way you think. Then you will learn to know God’s will for you, which is good and pleasing and perfect. Will you give your body to Him daily by allowing Him to teach you with His Word? 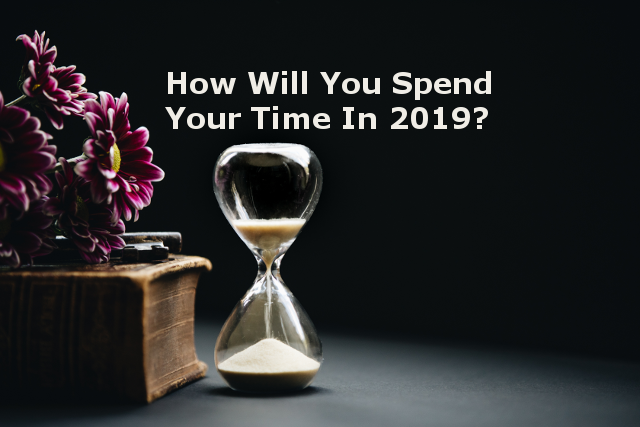 How Will You Spend Your Time In 2019? If there was just one thing you could focus on that you knew would please God the most, what do you think that would be? Of course, it’s a two-fold answer; it seems that it’s a package deal. As though God made sure that the two are inseparable. The other references found in Matthew and Mark both say “The second is equally important”. They are both considered “the greatest commandment”. After all, it is the greatest commandment. How do we love an invisible God? Good question. Luke 14: 26 “If you want to be my disciple, you must hate everyone else by comparison—your father and mother, wife and children, brothers and sisters—yes, even your own life. Otherwise, you cannot be my disciple. This hasn’t always been easy for me to read. At first glance, it is disturbing to me. The key words here are “by comparison”. Restated, using my words: “If I am to be His disciple, I must love God so much that I hate others, even my own family, by comparison”. It’s still tough for me to comprehend, but I think the more I love God, the more I will understand it. OK, so now that we can see how much we are to love God and how important it is, let’s discuss how we love Him. Since He is invisible, how do we get to know Him? Colossians 1: 15 Christ is the visible image of the invisible God. That helps. From this, we know that Jesus is God in the flesh. So then, how do we get to know Jesus? John 1: 1 In the beginning the Word already existed. My logic then concludes that spending time in the Word of God equates to spending time with Jesus. The Word is really all we have. Any book that is written about the Word or that uses the Word, is not the Word, but simply a by-product of the Word. I think I’ve said something like this before. If you really wanted to get to know someone, let’s say someone named Chris, would you read books about Chris, spend time with people that know Chris, or would you spend time with Chris? The first two options are not bad, but what if the books about Chris were a bit off-base and you couldn’t really trust the author. Or what if someone talked about Chris as if they really knew Chris, but it turns out they don’t know Chris at all? 35 Jesus replied, “I am the bread of life. Whoever comes to me will never be hungry again. Whoever believes in me will never be thirsty. Along with establishing a habit of reading the Word, two other practices should also be developed in order for our love to grow. The first is prayer and the second is close fellowship with other believers, people who are just as excited about spending time with Jesus as you are. Prayer opens up the necessary dialogue that should always continue to grow and develop. This is not easy, but necessary and invaluable. Pray that God will reveal Himself to you and that He will help you to discern His Word. After spending some time in the Word, the ability to understand it increases as long as our hearts remain soft. The fellowship with others is necessary to stay grounded in the Word and to practice our love on others. These three activities of reading, praying, and fellowship are foundational and essential for true, sustaining growth. Notice how they each require time, are personal attention. It is through these disciplines that we will learn how to love God and love others, practicing the two greatest commandments and putting us on His path. According to what we learned earlier, these 3 activities need to be prioritized higher than anything else we do. This is seeking Him first. Just like starting any new habit it is not easy, especially when the devil will do anything he can to keep you from getting closer to God. But this is one habit that will put you on the road to a peaceful and satisfying life that only Jesus can offer. Will you seek Him? Hebrews 12: 1 Therefore, since we are surrounded by such a huge crowd of witnesses to the life of faith, let us strip off every weight that slows us down, especially the sin that so easily trips us up. And let us run with endurance the race God has set before us. 2 Timothy 3: 16 All Scripture is inspired by God and is useful to teach us what is true and to make us realize what is wrong in our lives. It corrects us when we are wrong and teaches us to do what is right. 17God uses it to prepare and equip his people to do every good work. Hebrews 4: 12 For the word of God is alive and powerful. It is sharper than the sharpest two-edged sword, cutting between soul and spirit, between joint and marrow. It exposes our innermost thoughts and desires. Will you learn to love God in 2019? Dear Lord, I want 2019 to be different. I want to do all that I can to get to know you more. I know how distracted I’ve been and those distractions have come between me and you. Please help me live a life that is truly pleasing to you. You are all the really matters and I’d be crazy to let anything get in the way of loving you more. Thank you for bringing me to this realization and helping me to prioritize things differently from here on out. In Jesus name, Amen. 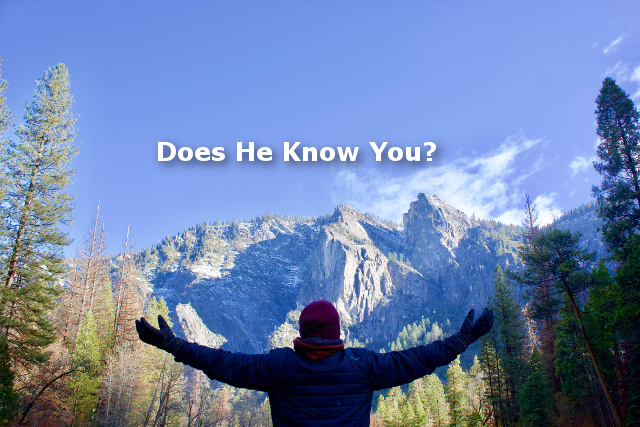 We all should know, as believers in Jesus that “It really doesn’t matter what you know, but who you know.” But does He know you? From this passage, we discover that doing the “works” or miracles of God can be grievously overrated, but knowing the Lord on a personal level cannot. This is where the organized church can go painfully wrong. If the relationship of the seminary student and his/her God is not the foremost priority of an educational organization, (Christian school), then they will more than likely produce “workers” who are driven more by numbers, doing works and acts of service than learning how to become “true disciples”. If these workers, at the core, do not learn how to be a disciple themselves, how can they (or why would they) teach others to do the same? And if these students, who will be the next generation of Christian leaders are not going to be making disciples, who will? Therefore, I think the “true disciples” are those that truly know God and His son, Jesus Christ. They are disciples based on love, not based on works. As the passage above makes this point clear: Works, in and of themselves, do not count for anything. He is after the friendship. That is His greatest desire. John 15: 1 “I am the true grapevine, and my Father is the gardener. 2 He cuts off every branch of mine that doesn’t produce fruit, and he prunes the branches that do bear fruit so they will produce even more. 3 You have already been pruned and purified by the message I have given you. 4 Remain in me, and I will remain in you. For a branch cannot produce fruit if it is severed from the vine, and you cannot be fruitful unless you remain in me. The “others”, those that might be mistaken as disciples, do works out of obligation. John 14: 15 “If you love me, obey my commandments. 16 And I will ask the Father, and he will give you another Advocate, who will never leave you. 17 He is the Holy Spirit, who leads into all truth. The world cannot receive him, because it isn’t looking for him and doesn’t recognize him. But you know him, because he lives with you now and later will be in you. This is why the “organized”, or should I say secularized church, has a rancid odor to so many because it is simply not bearing good fruit. Beware of the leaven of modern-day teachers! Matthew 7: 15 “Beware of false prophets who come disguised as harmless sheep but are really vicious wolves.16 You can identify them by their fruit, that is, by the way they act. Can you pick grapes from thornbushes, or figs from thistles? 17 A good tree produces good fruit, and a bad tree produces bad fruit. 18 A good tree can’t produce bad fruit, and a bad tree can’t produce good fruit. 19 So every tree that does not produce good fruit is chopped down and thrown into the fire. 20 Yes, just as you can identify a tree by its fruit, so you can identify people by their actions. My friends, I love the body of Christ. I cherish my brothers and sisters who love God and are fighting alongside me. But I have some major, foundational concerns with what the organized church has established today. I see pastors caring more about their church activities than promoting their congregation to pursue God in daily devotion with Bible reading, prayer, and fellowship. It is these fundamentals that will make a healthy church that will bear good fruit. A church like this will not diminish, but be alive and growing. Does it get any clearer than this? The great excitement I receive from this knowledge is that it puts everyone on a level playing field and any can grow in Christ and pursue Him just as much as any other. Going to seminary or a Christian School does not necessarily get you any closer to God than what you can do without the schooling. If you seek God with all your heart, He will use you wherever you’re at and this will not require a degree of any kind. Will you be His disciple? Have you seen my testimony?